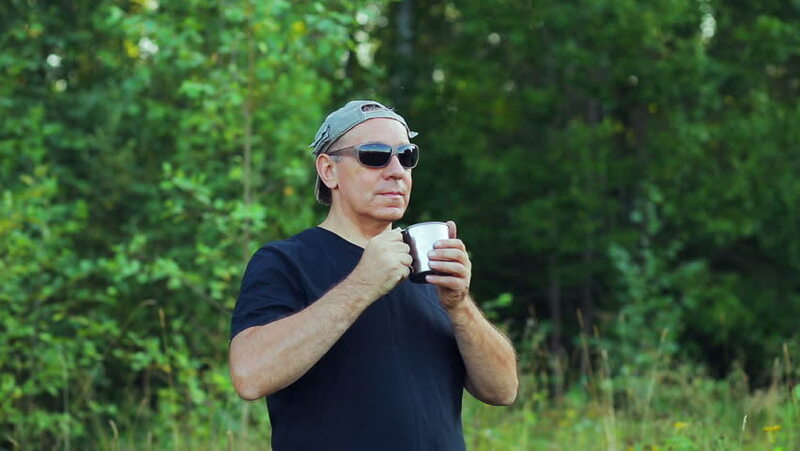 a man at the edge of the forest drinks tea from a mug and admires nature. hd00:07a man is standing on the edge of the forest drinking tea from a mug and admiring nature. 4k00:12Two young children dressed in homemade superhero costumes play in their backyard garden. One boy chases the other. Slow motion.